Two Buffalo-area colleges, one of them a two-year public institution and the other a four-year private school, are uniting in a partnership to provide a smooth path to a bachelor's degree for students with military connections. 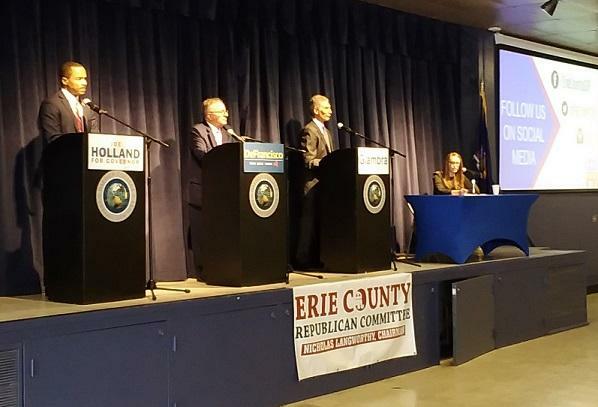 Three candidates seeking the Republican nomination to run against Governor Andrew Cuomo this fall appeared in Amherst Saturday morning, where they took turns taking shots at the incumbent and his policies, including the Buffalo Billion. Electronic sports, known as eSports is gaining popularity on college campuses. eSports features multi-player video gaming competitions. WBFO's senior reporter Eileen Buckley says Daemen College in Amherst has a brand new eSports center and club as it considers it a possible part of athletics. WBFO's senior reporter Eileen Buckley says Daemen College in Amherst has a brand new eSports center and club as it considers it a possible part of athletics. 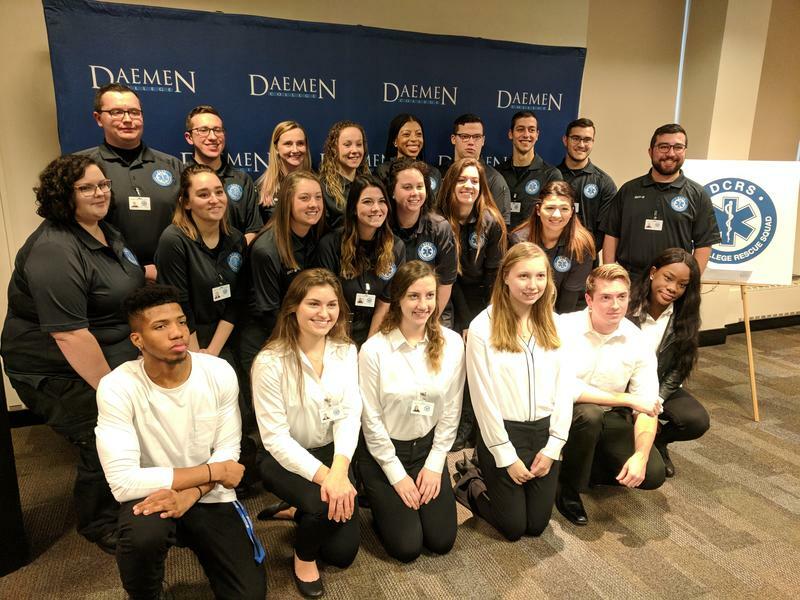 Students on the Daemen College campus now have the opportunity for far more than just classroom training in medicine – they’ve got a chance to have a hand in their own health care. The journalism world these days is filled with allegations of fake news, confusion about what constitutes news, confusion about the First Amendment and those reporters who do responsible jobs. 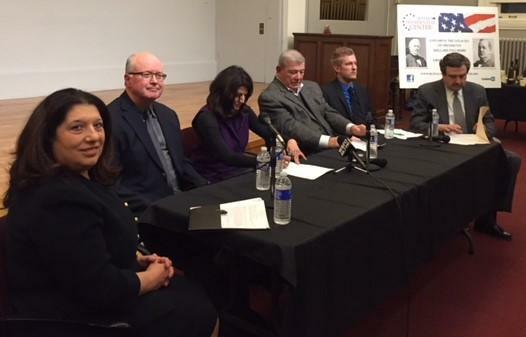 The news was the topic of a panel discussion before a packed house at the Buffalo History Museum Wednesday night. Daemen College is launching a new athletics program that provides people with disabilities weekly opportunities to experience the excitement and camaraderie of sports. The free program is not about wins and losses as much as it is about having fun, exercising and fostering sportsmanship, said Daemen Athletics Director Bridget Niland. It is not difficult to be satirical in today's political environment, but it's not exactly easy, according to the founder of the on-line humor publication, The Onion. Almost since the beginning of American history, there have been debates about the media and the nation's leader. Even America's first president, George Washington, faced attacks from the press. 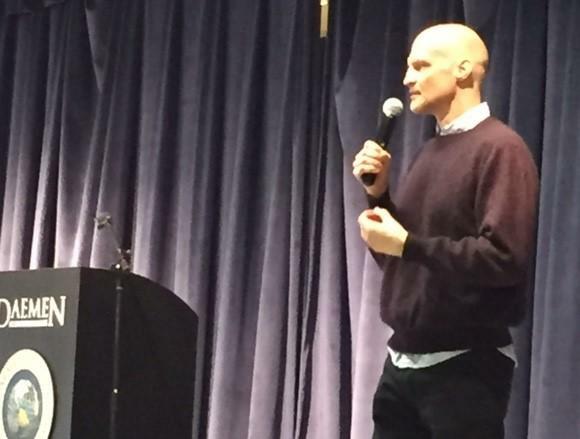 In a historic site named for a president of a century ago, a local political scientist Tuesday talked of a current president and his different take on the media. Daemen College in Amherst was recently named to the "Best Value School" ranking. WBFO's senior reporter Eileen Buckley says the listing is based on variety and quality of programs, student satisfaction and affordability. WBFO's senior reporter Eileen Buckley says Daemen College in Amherst was recently named to the "Best Value School" ranking. 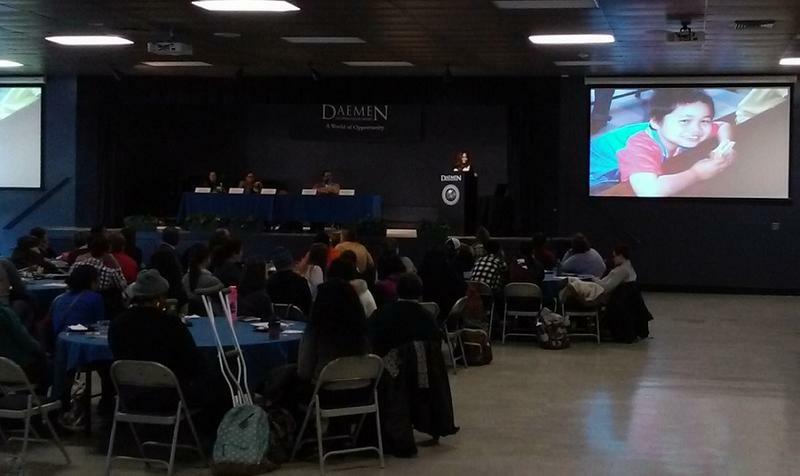 Daemen College played host Tuesday to a panel discussion on refugees, immigrants and President Donald Trump's policies concerning them. WBFO's Michael Mroziak reports (this is an expanded version of WBFO's broadcast story). Two private neighboring schools in Amherst have announced an historic new partnership. WBFO's Senior Reporter Eileen Buckley says Daemen College and The Park School of Buffalo signed a memo of understanding and will now collaborate to develop programs in academics, athletics and community outreach programs. 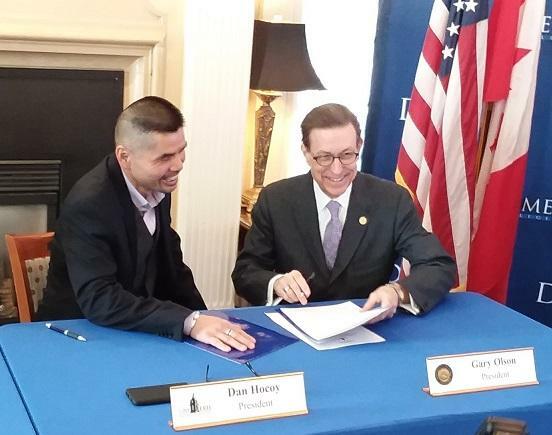 WBFO's Eileen Buckley reports Daemen College and The Park School of Buffalo signed a memo of understanding for a new partnership. The leader of Daemen College has been elected as vice chair of the NCAA Division II Presidents Council. WBFO's Senior Reporter Eileen Buckley says Daemen is the only Division II school in the Western New York region. WBFO's Senior Reporter Eileen Buckley talks with Daemen's president about Division II. 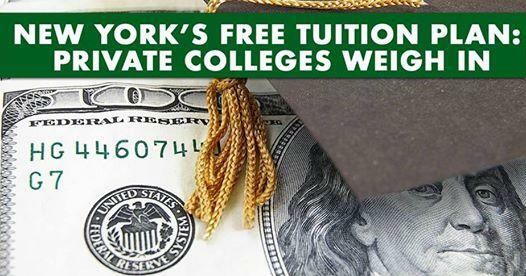 Governor Cuomo's proposed tuition-free plan for eligible students attending SUNY and CUNY schools is causing a buzz. Many questions are surfacing as few details were released. WBFO's senior reporter Eileen Buckley explores how this could affect smaller, private colleges in the region. WBFO's senior reporter Eileen Buckley explores how tuition-free at state schools could affect smaller, private colleges in the region. There has been another racist incident on a local college campus. Two Daemen College students were placed on suspension after a male student wore a costume that resembled a KKK outfit inside Canavan Hall Monday night. A second student, who helped dress him, was also suspended. What will trade look like in a Trump presidency? Trade is good for the United States and its workers. That was the message delivered Thursday night to the World Trade Center Buffalo Niagara. Daemen College in Amherst has received a $1 million gift. It is the largest private donation to the school’s history. WBFO's senior reporter Eileen Buckley says it comes from Orchard Park businessman Paul Saffrin, CEO of Tonawanda Coke. WBFO's Eileen Buckley reports Daemen College in Amherst has received a $1 million gift. It is the largest private donation to the school’s history. 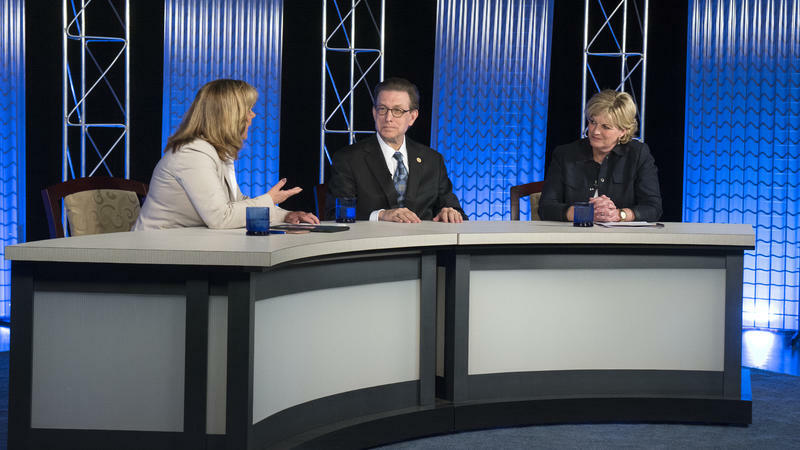 While Wednesday's Presidential debate provided more of the harsh discourse that seems to have drawn millions of viewers to previous debates, the event failed to go deep on some key issues. 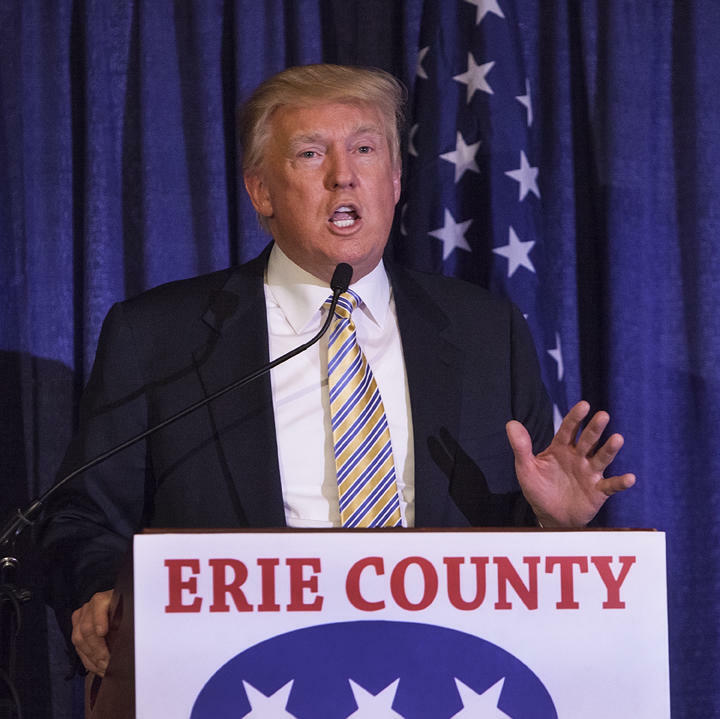 Robert Mills, special assistant for government relations at Daemen College, believes the candidates failed to properly explain how they would improve the conditions for Erie County's 65,000 veterans. Robert Mills, special assistant for government relations at Daemen College, shared his perspective on Wednesday's Presidential debate. 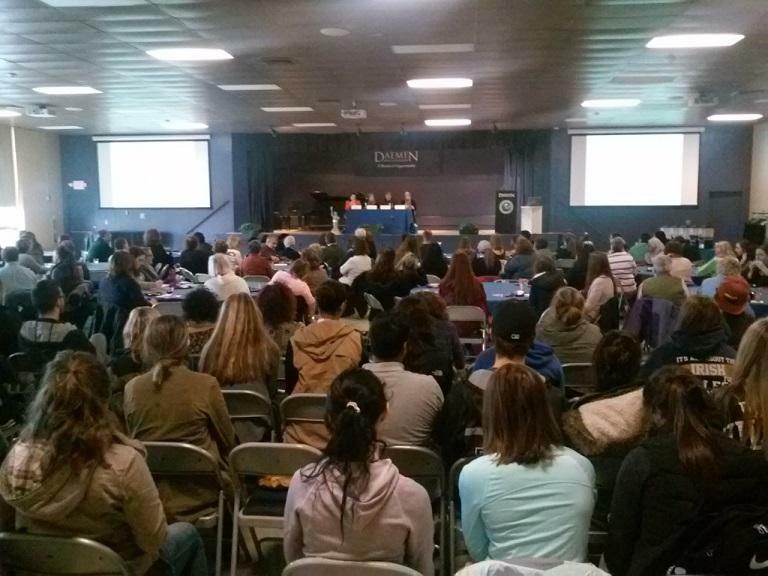 New students at Daemen College received advice from one of the state's top education leaders. 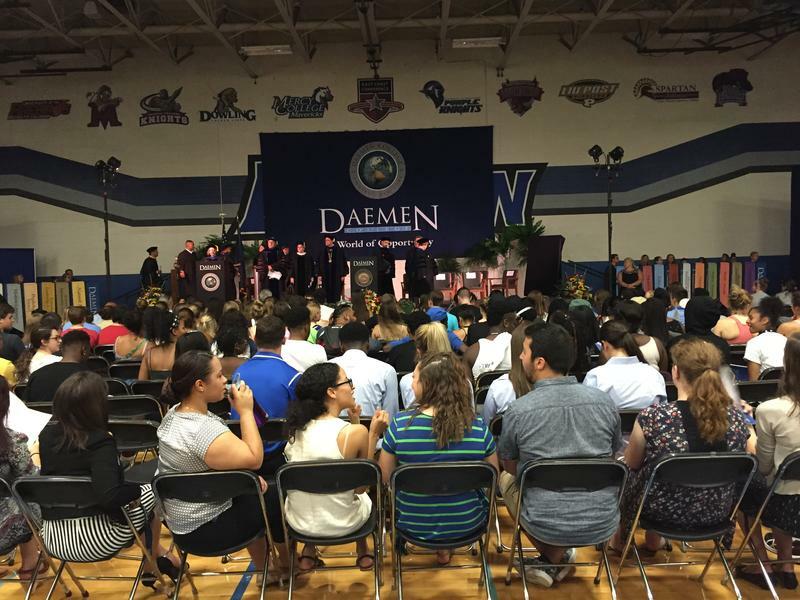 New York State Education Commissioner MaryEllen Elia was the keynote speaker Thursday at Daemen's Convocation 2016 ceremony. Depending on perspective, some of the programs funded by Governor Cuomo's Buffalo Billion are either ambitious or fanciful. 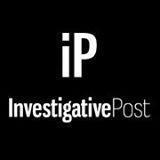 During WBFO's Press Pass, Charlotte Keith of Investigative Post provided details of one initiative that is falling short on its promise of job creation. Charlotte Keith of Investigative Post discussed one of Governor Cuomo's economic development programs during WBFO's Press Pass. When it comes to Gov. Andrew Cuomo’s Buffalo Billion initiative, SolarCity isn’t the only project experiencing problems. State officials had high hopes for a much smaller initiative—a visual effects training program at Daemen College, in partnership with a company promising to create new jobs in the fledgling industry in Buffalo. There's an increasing interest in registered nursing. Daemen College in Amherst is reporting waiting lists to get into its program. The Daemen College Board of Trustees announced Wednesday that President Gary Olson has signed a five-year contract that will allow Olson to continue to lead the college until 2021. Addressing the myths about refugees. That was the focus of a panel discussion held Tuesday at Daemen College, where an audience of nearly 200 people heard about the challenges facing immigrants, including just how hard it is to achieve asylum status in the U.S.
A gubernatorial task force was told Wednesday that Common Core can work. There was less certainty regarding the level of testing connected with the standards. New York State Education Commissioner MaryEllen Elia will be speaking at Daemen College in Amherst next week for the college's Distinguished Leaders Lecture Series. Daemen College in Amherst is celebrating the expansion of its campus with a brand new Academic and Wellness Center. Photo provided by Daemen College. 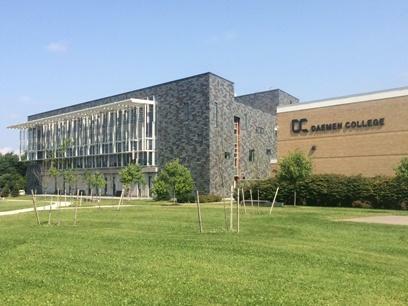 Daemen College in Amherst is receiving a nearly half-a-million dollar state grant to create a new Graduate Studies Technology Center. 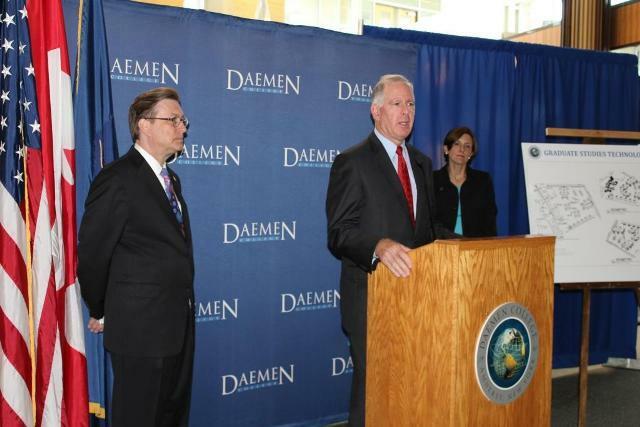 New York State Senator Michael Ranzenhofer appeared at Daemen Monday for a news conference to announce that he secured the funding.